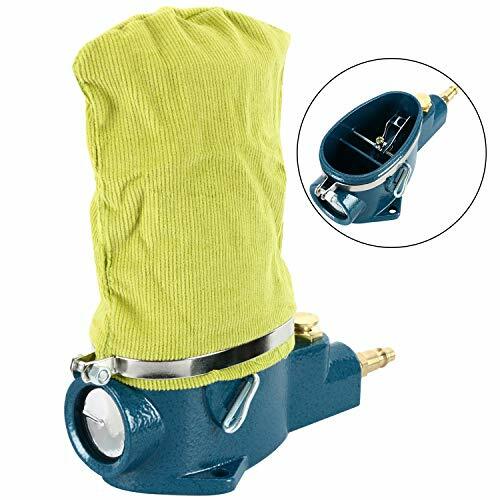 Cleans spark plugs with abrasive or air with the flip of a switch! 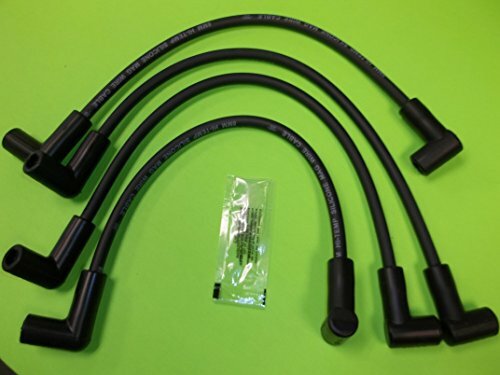 Average Air Consumption: 7.7 CFM;Average Air Consumption: 7.7 CFM;Air Inlet Size: 1/4";Hose Size: 3/8"
Genuine Suzuki Outboard OEM Product. Brand: Suzuki Outboard | Manufacturer: Suzuki Motor of America Inc. 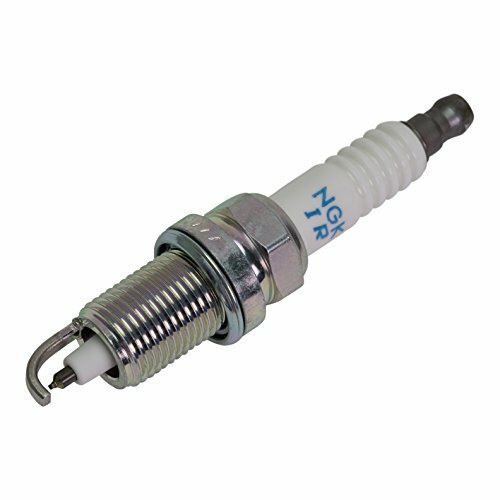 The NGK SPARK PLUGS INC BR8HS is the perfect spark plug to keep with your ever expanding kit of boating tools. 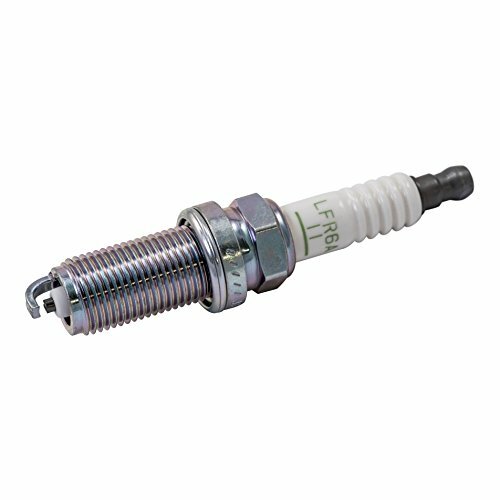 The IZFR5G spark plugs come pre-gapped as specified by your engine manufacturer. Use only the spark plug listed in your engine owner s manual. Using the wrong plug can reducing optimum performance, reduce fuel economy or cause damage to your engine. Spark plugs are easy to change with common spark plug sockets. The NGK pure alumina silicate ceramic insulator provides superior strength, reduces breakage and better heat transfer. The Ribbed Suppressor Seal extends resistance and prevents spark flash over and misfire. The Quicksilver brand is the leader in delivering uncompromising engine oils, parts and accessories to the marine industry for over 65 years. 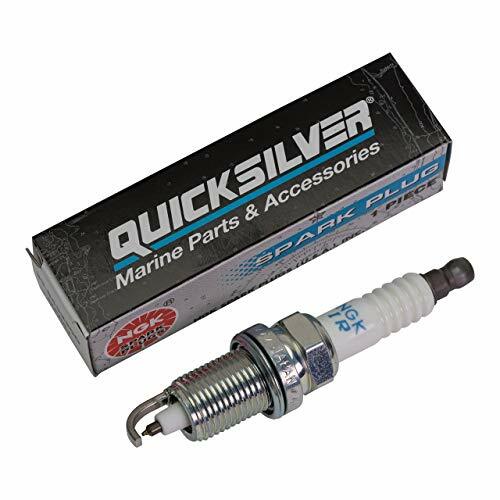 Quicksilver is the premier supplier of Mercury Marine Original Equipment replacement engine parts, oils, and accessories, but also works to serve all Original Equipment brands in the marine and power sports industries. It has earned a loyal following by providing the highest quality products that are tested through some of the most rigorous environments and testing procedures. No aftermarket company comes close to the level of research and design as Quicksilver; buying Quicksilver is buying performance, protection and peace of mind. 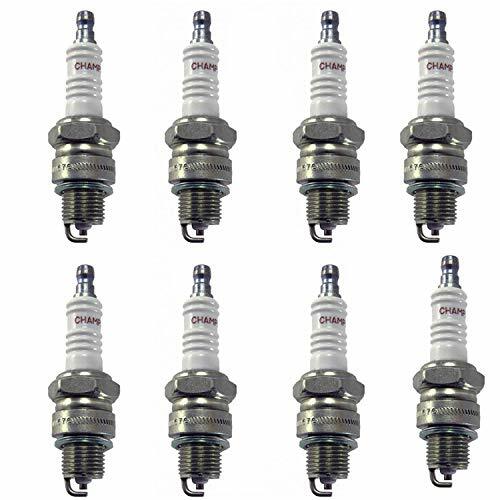 The BPZ8HS-10 spark plugs come pre-gapped as specified by your engine manufacturer. Use only the spark plug listed in your engine owner s manual. Using the wrong plug can reducing optimum performance, reduce fuel economy or cause damage to your engine. Spark plugs are easy to change with common spark plug sockets. The NGK pure alumina silicate ceramic insulator provides superior strength, reduces breakage and better heat transfer. The Quicksilver brand is the leader in delivering uncompromising engine oils, parts and accessories to the marine industry for over 65 years. Quicksilver is the premier supplier of Mercury Marine Original Equipment replacement engine parts, oils, and accessories, but also works to serve all Original Equipment brands in the marine and power sports industries. It has earned a loyal following by providing the highest quality products that are tested through some of the most rigorous environments and testing procedures. No aftermarket company comes close to the level of research and design as Quicksilver; buying Quicksilver is buying performance, protection and peace of mind. 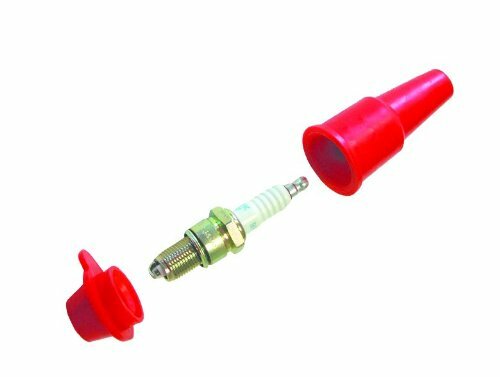 The NGK BPR6EFS standard plugs come pre-gapped as specified by your engine manufacturer. It is always recommended to check the gap before installation. Use only the spark plug listed in your engine owner s manual. Using the wrong plug can reducing optimum performance, reduce fuel economy or cause damage to your engine. Spark plugs are easy to change with common spark plug sockets. The NGK pure alumina silicate ceramic insulator provides superior strength, reduces breakage and better heat transfer. The Ribbed Suppressor Seal extends resistance and prevents spark flash over and misfire plus the triple seal helps prevent leakage. The Quicksilver brand is the leader in delivering uncompromising engine oils, parts and accessories to the marine industry for over 65 years. Quicksilver is the premier supplier of Mercury Marine Original Equipment replacement engine parts, oils, and accessories, but also works to serve all Original Equipment brands in the marine and power sports industries. It has earned a loyal following by providing the highest quality products that are tested through some of the most rigorous s and testing procedures. No aftermarket company comes close to the level of research and design as Quicksilver; buying Quicksilver is buying performance, protection and peace of mind. 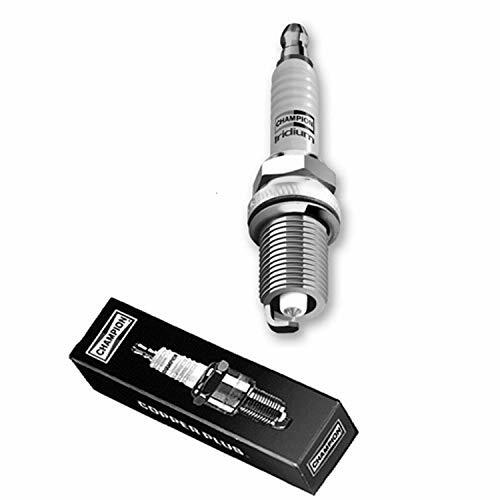 The IZFR6J spark plugs come pre-gapped as specified by your engine manufacturer. Use only the spark plug listed in your engine owner s manual. Using the wrong plug can reducing optimum performance, reduce fuel economy or cause damage to your engine. Spark plugs are easy to change with common spark plug sockets. The NGK pure alumina silicate ceramic insulator provides superior strength, reduces breakage and better heat transfer. The Ribbed Suppressor Seal extends resistance and prevents spark flash over and misfire. The Quicksilver brand is the leader in delivering uncompromising engine oils, parts and accessories to the marine industry for over 65 years. Quicksilver is the premier supplier of Mercury Marine Original Equipment replacement engine parts, oils, and accessories, but also works to serve all Original Equipment brands in the marine and power sports industries. It has earned a loyal following by providing the highest quality products that are tested through some of the most rigorous s and testing procedures. No aftermarket company comes close to the level of research and design as Quicksilver; buying Quicksilver is buying performance, protection and peace of mind. 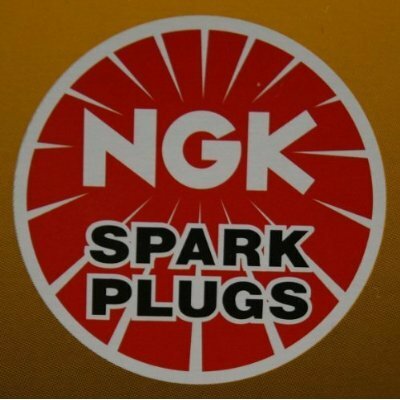 The NGK LFR6A-11 V-Power Plug plugs come pre-gapped as specified by your engine manufacturer. It is always recommended to check the gap before installation. Use only the spark plug listed in your engine owner s manual. Using the wrong plug can reducing optimum performance, reduce fuel economy or cause damage to your engine. Spark plugs are easy to change with common spark plug sockets. The NGK pure alumina silicate ceramic insulator provides superior strength, reduces breakage and better heat transfer. The Ribbed Suppressor Seal extends resistance and prevents spark flash over and misfire plus the triple seal helps prevent leakage. The Quicksilver brand is the leader in delivering uncompromising engine oils, parts and accessories to the marine industry for over 65 years. Quicksilver is the premier supplier of Mercury Marine Original Equipment replacement engine parts, oils, and accessories, but also works to serve all Original Equipment brands in the marine and power sports industries. It has earned a loyal following by providing the highest quality products that are tested through some of the most rigorous environments and testing procedures. No aftermarket company comes close to the level of research and design as Quicksilver; buying Quicksilver is buying performance, protection and peace of mind. 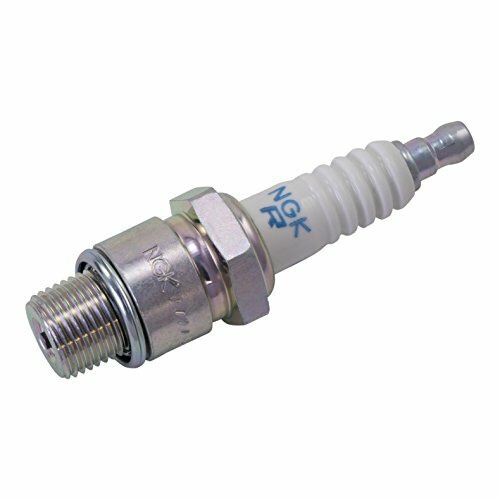 NGK 90813 Comes with full manufacturer warranty and usually leaves warehouse same day. The NGK BUHW-2 surface gap plugs have no side electrode to pre-gap and are nearly immune to pre-ignition (knocking). Surface gap plugs have no heat range listing as the electrode design prevents the firing tip from overheating causing pre-ignition. The NGK inductive resistor uses a coiled nickel wire which is inserted in the stem of the plug and held in place by a spring to create a natural field resistor reducing radio frequency interference (RFI) in onboard electronics. Use only the spark plug listed in your engine owner s manual. Using the wrong plug can reducing optimum performance, reduce fuel economy or cause damage to your engine. Spark plugs are easy to change with common spark plug sockets. The NGK pure alumina silicate ceramic insulator provides superior strength, reduces breakage and better heat transfer. The Ribbed Suppressor Seal extends resistance and prevents spark flash over and misfire plus the triple seal helps prevent leakage. The Quicksilver brand is the leader in delivering uncompromising engine oils, parts and accessories to the marine industry for over 65 years. Quicksilver is the premier supplier of Mercury Marine Original Equipment replacement engine parts, oils, and accessories, but also works to serve all Original Equipment brands in the marine and power sports industries. It has earned a loyal following by providing the highest quality products that are tested through some of the most rigorous environments and testing procedures. No aftermarket company comes close to the level of research and design as Quicksilver; buying Quicksilver is buying performance, protection and peace of mind. Instantly check and diagnose if your spark plug is firing without having to remove the plug. 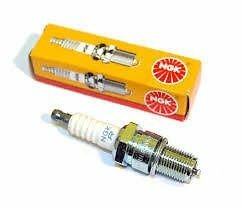 The OK Spark Spark Plug Sensor is the only tool that measures spark and voltage instantly and accurately . Our PEER technology allows the user to safely diagnose engine misfires without exposure to high voltage. 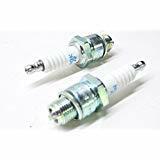 OK Spark brand Spark Plug Sensor uses exclusive Plasma Energy Event Recognition (PEER) technology to check for the presence of an electrical arc in the spark plug. Quickly and accurately diagnose true spark...saves time and money. 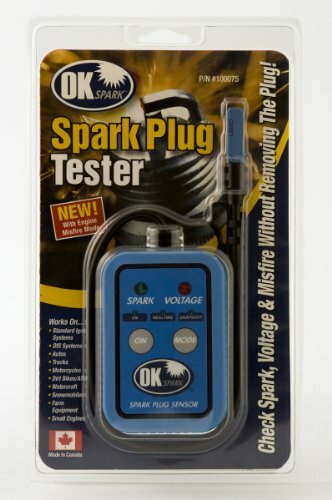 The OK Spark Spark Plug Sensor is the only tool that measures spark and voltage instantly and accurately. OK Spark brand Spark Plug Sensor uses exclusive Plasma Energy Event Recognition (PEER) technology to check for the presence of an electrical arc in the spark plug. 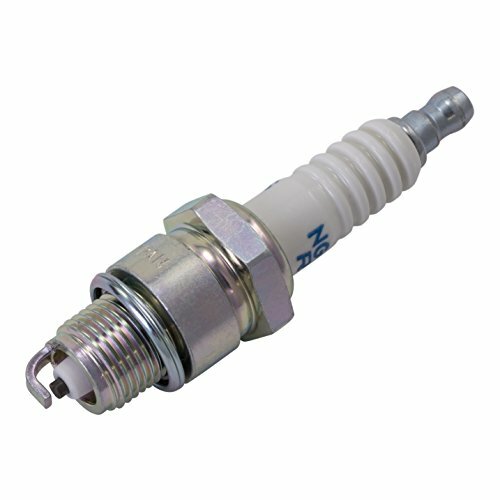 Instantly check and diagnose if your spark plug is firing without having to remove the plug. Industrial-grade design with overmold grips. Brand: OK SPARK USA INC | Manufacturer: OK Spark USA, Inc. 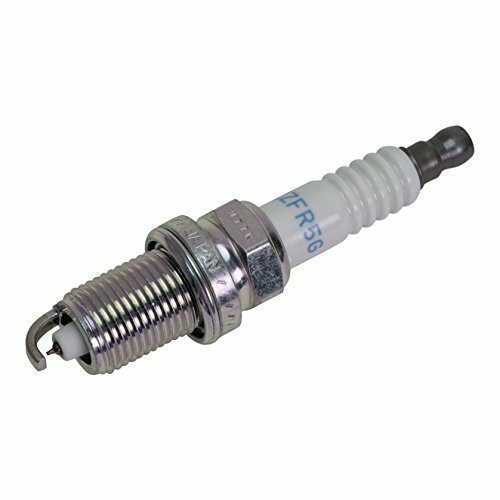 The IZFR5J spark plugs come pre-gapped as specified by your engine manufacturer. Use only the spark plug listed in your engine owner s manual. Using the wrong plug can reducing optimum performance, reduce fuel economy or cause damage to your engine. Spark plugs are easy to change with common spark plug sockets. The NGK pure alumina silicate ceramic insulator provides superior strength, reduces breakage and better heat transfer. The Ribbed Suppressor Seal extends resistance and prevents spark flash over and misfire. The Quicksilver brand is the leader in delivering uncompromising engine oils, parts and accessories to the marine industry for over 65 years. Quicksilver is the premier supplier of Mercury Marine Original Equipment replacement engine parts, oils, and accessories, but also works to serve all Original Equipment brands in the marine and power sports industries. It has earned a loyal following by providing the highest quality products that are tested through some of the most rigorous environments and testing procedures. No aftermarket company comes close to the level of research and design as Quicksilver; buying Quicksilver is buying performance, protection and peace of mind. 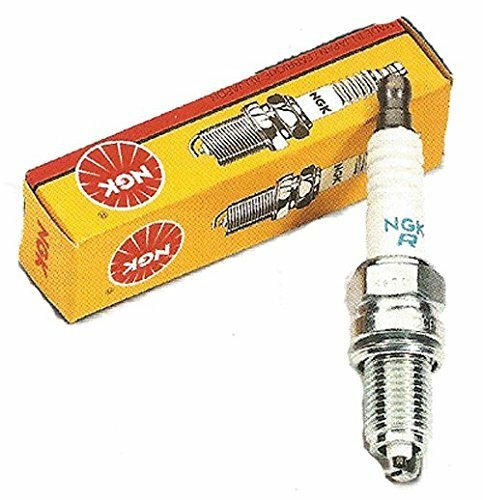 NGK is the world's leading manufacturer of spark plugs. Advanced production equipment, large investment in research and development, as well as the strong commitment to racing, from the Formula 1 to the two-wheeled motorsport, the NGK spark plug so successful.